The Sacred Hearts Academy Leo Club made PGA history with 3 of the youngest Marshals ever at this past weekend’s Sony Open tournament. 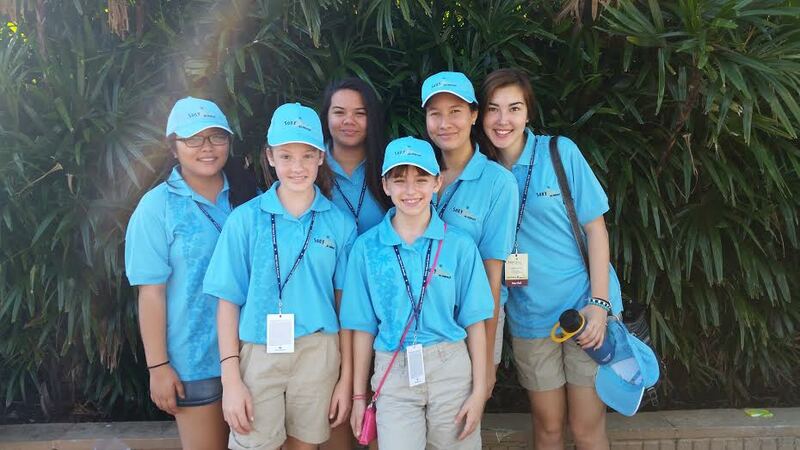 7th graders Morgan Candelo and Lucy Gentry, 8th grader Kayla Park, joined Juniors Kennedy Cambra-Cho, Theresa Ginter, and Madison Sharp and their Kamehameha Lions Club sponsors on Saturday and Sunday to assist at the Waialae Golf Course. The volunteers helped with crowd control and marking golf balls. Special thanks to Morgan’s cousin, Sara Peterson, and Lucy’s dad, Matthew Gentry, and Sacred Hearts Academy math instructor, Kimber Brown, for assisting us this weekend as well! Contribute to Sacred Hearts Academy. Dash and Dot Arrive at Lower School Robotics!